← Welcome the new Honda Africa Twin! A Scrambler Ducati Near You! Remember those first rumors and endless discussions on motorcycle forums about Ducati bringing back to the market the Scramblers? Then there was Ducati’s successful multi-media campaign and those strategically leaked photos and videos. Eventually the bike was presented at the EICMA show in Milan last fall. That event was followed by the official launch of the bike in Europe then the launch in the United States earlier this year. Last week was finally our time to officially be introduced to this much anticipated motorcycle. By the time I submit this post every Ducati dealer in the United States should have received their first shipment of Scramblers. 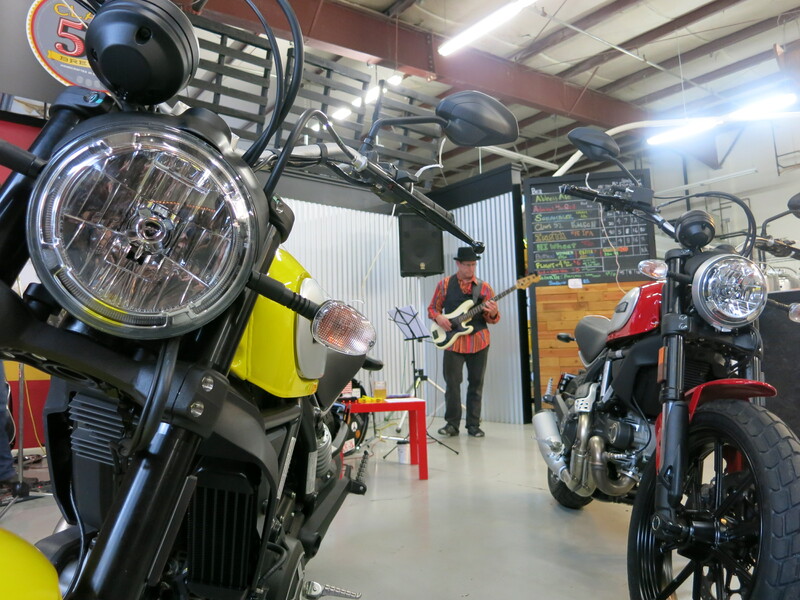 Our local dealer here in Oregon (European Motorcycles of Western Oregon) has received their first two bikes, both are icon models, and not surprising, both bikes have been pre-sold. If you want a Scrambler Ducati for this riding season I would recommend you place your order right away, as these bikes are selling fast – and I believe the next shipment for our region is almost all pre-sold already. The red bike, by the way, was a surprise birthday present from a generous wife to a lucky husband. No demo bikes yet. Once a Scrambler Ducati is available as a demo, who knows when that will be at the rate they are being sold, we will take it for a spin and will let you know our thoughts about it. 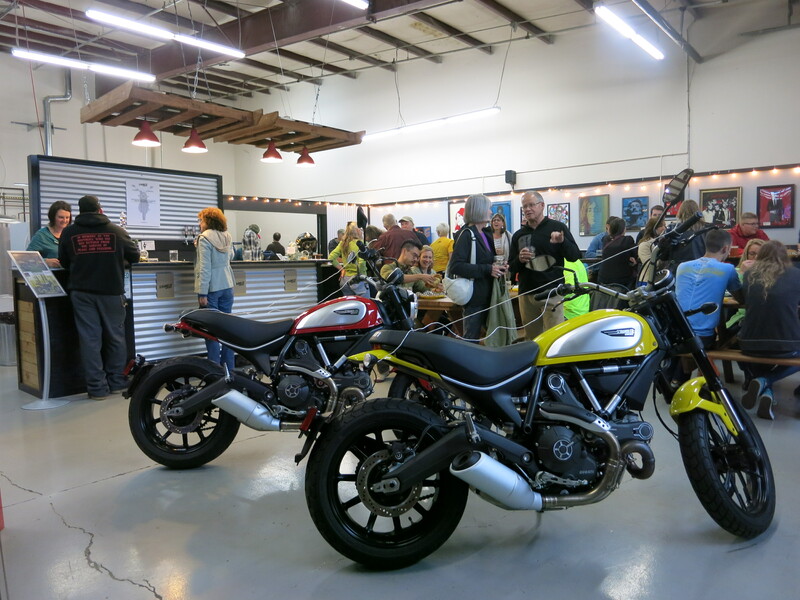 This entry was posted in Bike Reviews and tagged European Motorcycles of Western Oregon, Scrambler Ducati. Bookmark the permalink. 2 Responses to A Scrambler Ducati Near You! One of our friends here in Corvallis has a deposit down on a Scrambler from the shop in Eugene. He is waiting not so patiently. They sure look like a nice machine. I can understand his lack of patience…. but they are coming. Some models, however, may take longer (Urban Enduro and Full Throttle, I hear).